Beautiful Lakefront Home Screams Tranquility!! Mins to I-4 and shopping but yet has the peacefulness of the lake and wildlife 3 bed, 3 baths situated on .34 acre on gorgeous Lake Gem. Home Features a split plan well maintained while keeping its charming elements of mid-century architecture and many UPDATES! The sunny, updated kitchen boasts 42" cabinets, canned ceiling lighting, new appliances, a breakfast bar, beautiful ceramic tile, with walk-in pantry. and new windows in 2018. The split plan design and large, open living and dining areas with captivating gorgeous lake views. 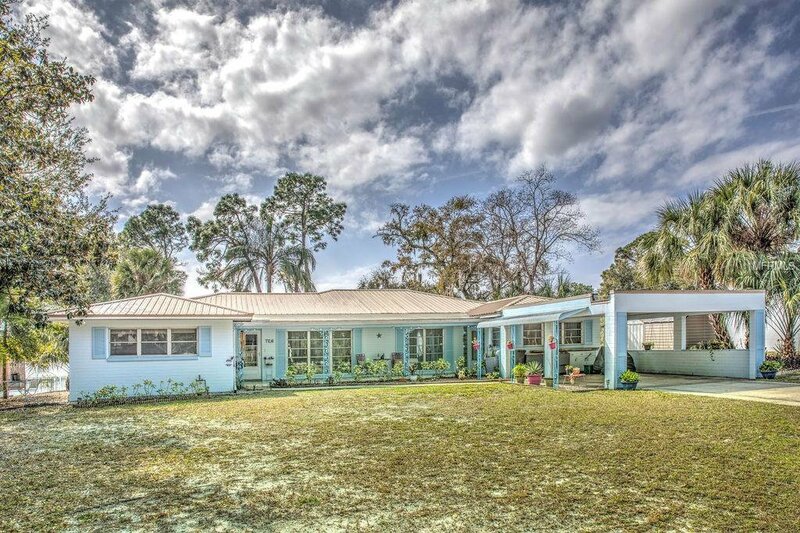 The beautifully, well-cared-for terrazzo flooring throughout most of the home is a pleasant nod to true Florida architecture and the era, and are in superb condition. The large third bedroom on the opposite end of the home from the other two bedrooms could easily function as an in-law or guest suite. The master bedroom features an en-suite bathroom and lovely lake views. The large, open family room boasts built-ins, and new 16' patio sliding glass door in 2015 walking out into the new Screened Porch 2016 capturing those fabulous lake views. A nicely sized screened-in lanai expands the Florida outdoor lifestyle, lake gazing and waterfowl watching on pristine, spring-fed Gem Lake. Metal roof and hot water heater are approximately 2013, the Well pressure tank was installed within the last year and the main HVAC unit was replaced in 2018. Truly an exceptional lakefront home at an exceptional value offered below appraised value! Listing courtesy of TOWN AND COUNTRY REALTY. Selling Office: JAGER REALTY LLC.